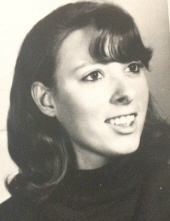 Linda King, 69, of Findlay and formerly Fostoria, passed away on Wednesday November 21, 2018 at Blanchard Valley Hospital, Findlay. She was born August 22, 1949 in Kentucky to the late James and Junnie (Hunt) Spears. She married Anthony King, they later divorced and he survives in Fostoria. Also surviving is a son, Anthony (Sarah) King, Findlay; granddaughters, Kyrstin Good and Brooklyn King; brother, James Spears, Texas; and sisters, Ressie McIntyre, Wilma (Keith) Ward, Eddie Westenbarger and Arlene (Bob) Hammer, all of Fostoria. She was preceded in death by a brother, Harry Thacker and a sister, Betty Holbrook. Linda was a homemaker. She loved spending time with her family, especially her grandchildren. She also enjoyed playing solitaire and watching her grandchildren’s sporting events as well as watching sports on television. Words of reflection will begin at 1pm Tuesday November 27, 2018 at HOENING FUNERAL HOME 242 W. Tiffin St., Fostoria, OH 44830 with Pastor William Bentley, presiding. Visitation will take place one hour prior to the service at the funeral home (noon-1pm). To send flowers or a remembrance gift to the family of Linda King, please visit our Tribute Store. "Email Address" would like to share the life celebration of Linda King. Click on the "link" to go to share a favorite memory or leave a condolence message for the family.